a.k. payne (2019) is an English [w a concentration in playwriting] & African-American Studies double major. In fall 2017, Payne directed the Suzan-Lori Parks play, Topdog/Underdog, a production of the Heritage Theater Ensemble. 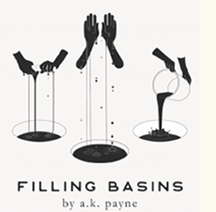 Read more about “Filling Basins” and get performance times.